Visitors sampling allows you to display a survey only to a percentage of your website’s visitors. 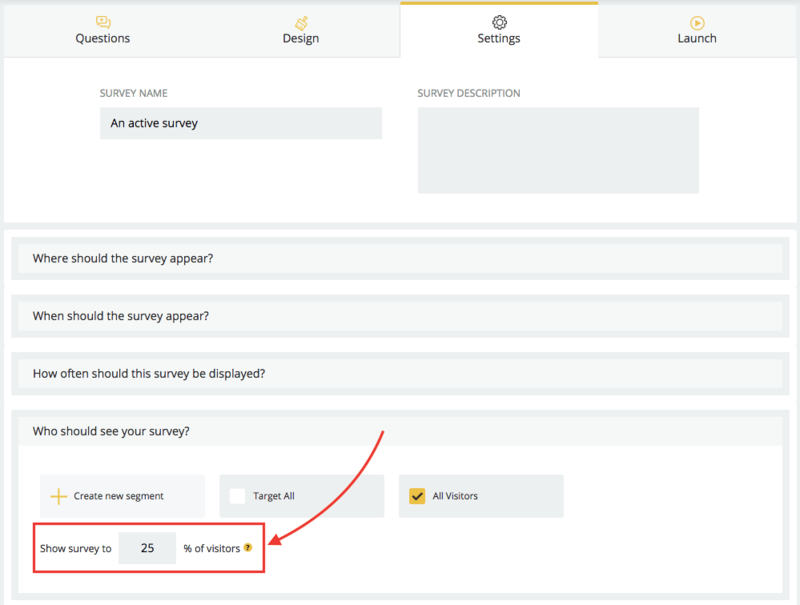 People who will see the survey are picked randomly so that you can keep your surveys for longer even with the high traffic and make your methods more statistically significant. To enable visitors sampling, go to your survey Settings and open Who should see the survey? Here you'll see Show survey to X % of visitors field. There you can specify how many visitors should see it and then click the Save button.